Orville Schell is the Arthur Ross Director of the Center on U.S.-China Relations of the Asia Society in New York. He is a former professor and Dean at the University of California, Berkeley’s Graduate School of Journalism. Schell is the author of fifteen books, ten of them about China, and a contributor to numerous edited volumes. His most recent books are: Wealth and Power, China’s long March to the 21st Century; Virtual Tibet; The China Reader: The Reform Years; and Mandate of Heaven: The Legacy of Tiananmen Square and the Next Generation of China’s Leaders. He has written widely for many magazine and newspapers, including The Atlantic Monthly, The New Yorker, Foreign Affairs, the New York Times, the Washington Post and many others. Schell is a Fellow at the Weatherhead East Asian Institute at Columbia University, a Senior Fellow at the Annenberg School of Communications at USC and a member of the Council on Foreign Relations. 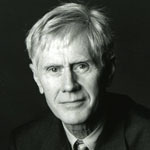 Schell is also the recipient of many prizes and fellowships, including a Guggenheim Fellowship, the Overseas Press Club Award, and the Harvard-Stanford Shorenstein Prize in Asian Journalism. Having reported on China since 1970, Schell brought a powerful perspective on China’s search for modernity and was a wonderful speaker for YCW San Francisco’s inaugural event.